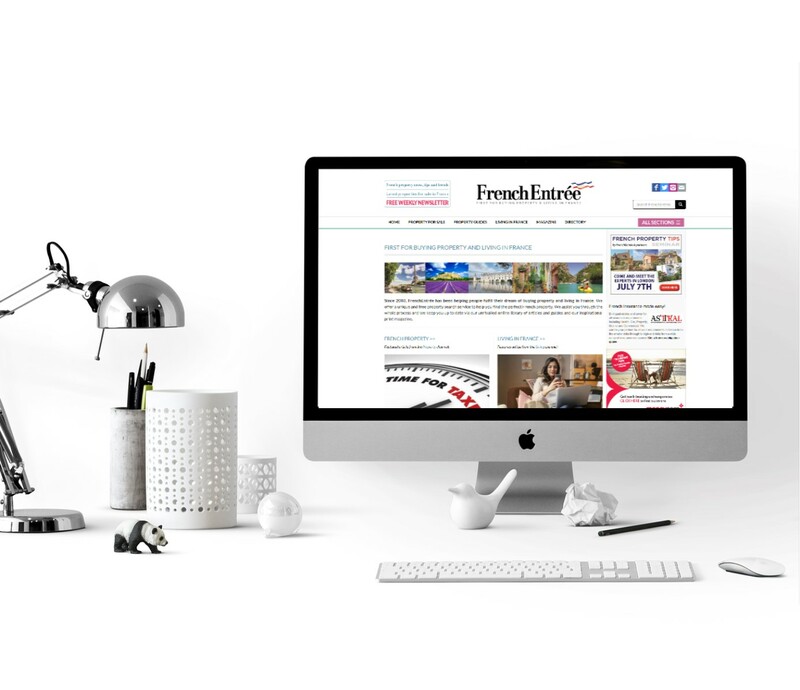 Reach more than 330,000 Francophiles, expats, property buyers and investors through FrenchEntrée’s leading portfolio of magazines, newsletters, and website. FrenchEntrée offers a flexible and proven range of online and print marketing solutions to suit every type of company and every budget. Our advertisement packages are highly effective for all kinds of businesses in successfully achieving a wide range of marketing objectives. 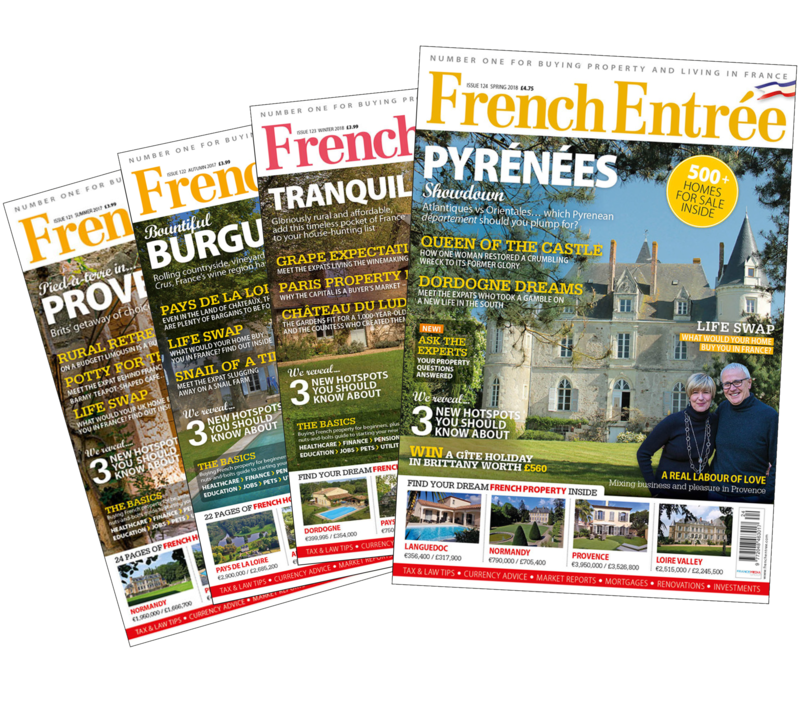 FrenchEntrée Magazine: With more than 100,000 magazine readers every quarter, FrenchEntrée remains the leading print title dedicated to French property and living advice in France. We currently reach the largest base of property buyers and investors in France available for a print title and cover all aspects of buying and life in France including tax, legal, health, property and currency plus much more. We are now also the most read property magazine in the US about France, as well as having leading readerships in other countries such as mainland Europe and Australia. FrenchEntree.com: Reach over 170,000 unique monthly visitors across two key categories –Property & Living. No matter what your French-related business, we can help. We have the largest base of property buyers and investors anywhere for France, and in addition have very popular online channels for retirement, tax, healthcare, law & many more topics all aimed at an ever-growing expat & Francophile community. There are various options for your business to reach our market-leading audience such as MPU, articles, directories, info adverts, solus emails, & sponsorships, all created on a bespoke campaign basis. 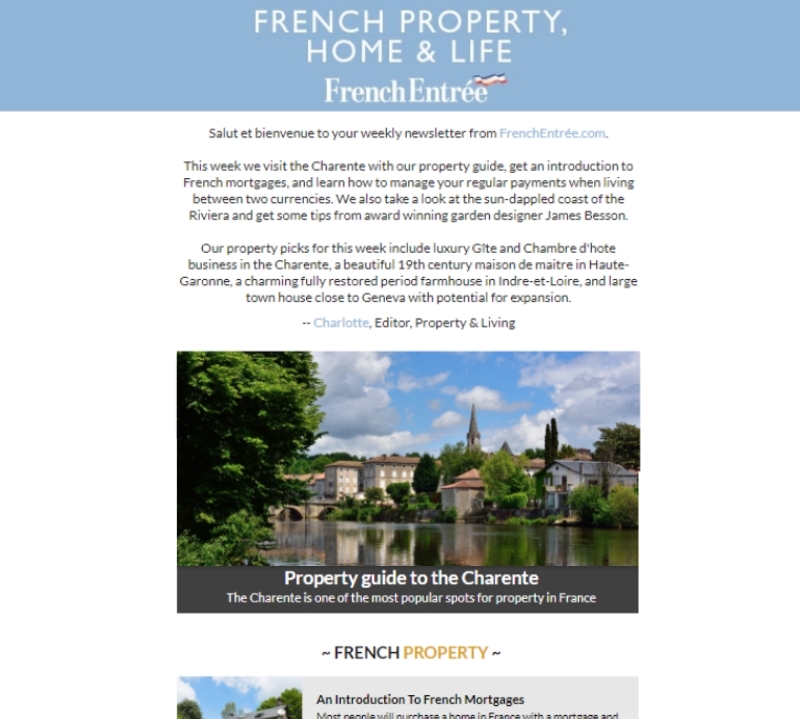 French Property, Home & Life: Over 50,000 double opt-in subscribers receive our weekly newsletter every Tuesday. We cover all aspects of French property and life in France including retirement, finance, property law plus much more. We have the only French specialist double opt-in list with open and click-through rates far exceeding the industry standards. You can subscribe to our newsletters here, please check your email for the link to make sure you double opt-in and continue to receive messages from FrenchEntree.